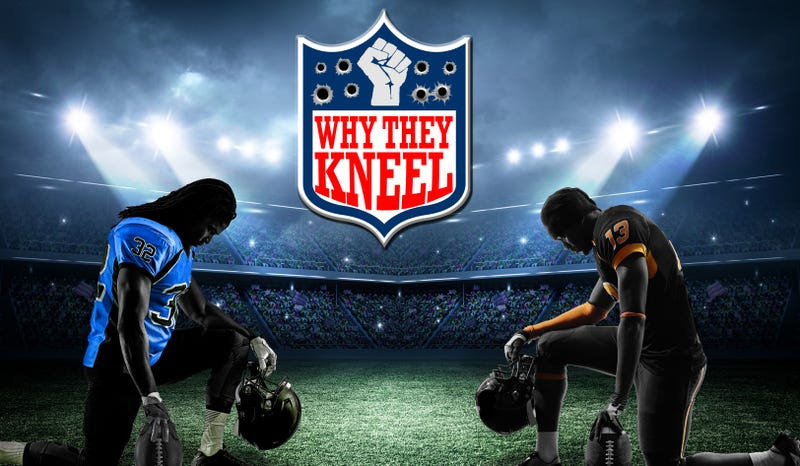 To examine the injustice and inequality that prompted some NFL players to protest during the national anthem, each week during the 2018 regular season, The Root explored the data behind racial disparities. As America enjoys the Super Bowl, the Root Partnered with Fatal Encounters to examine what we don’t know about police brutality in America. On September 11, 2018, Antonio May was arrested for trespassing in Atlanta, minutes away from where the Super Bowl will be played. After May was booked in the Fulton County jail, he began annoying officers by asking for water, according to another inmate. The Journal-Constitution reports that six deputies entered May’s cell and tasered him. Then they tasered him again. Then they pepper sprayed May. Then they hosed him down. It would be easy to reduce the tragedy of Antonio May’s death to a statistic. But he is not a statistic. If one were to venture to the Washington Post’s Fatal Force, the most popular site for counting police deaths, May’s name would not even appear. That’s because the Post’s extensive database only lists on-duty, non-federal, line-of-duty police shooting deaths. May was not shot, so he is not listed. Neither is Roxsana Hernandez Rodriguez, a trans woman who died in an immigration detention center. She was in the custody of ICE, a federal agency when a medical examiner said she was beaten to death, so she doesn’t count. The name of 41-year-old Bobby Wallace is also missing. Wallace was unarmed when he was shot by an on-duty Shreveport, La. police officer but — as extensive and useful as the Washington Post database may be — they sometimes miss a name. Earlier this year, The Root reported that police officers killed 1,165 people last year. That number came from a review of the Washington Post’s police shooting data and the Mapping Police Violence. The Washington Post’s Fatal Force says police shot and killed 998 people in 2018. In 2014, for the first time in history, the Obama administration tasked the FBI with counting how many arrest-related deaths happened that year. When the Bureau of Justice Statistics issued its report, it found that the FBI had been under-reporting the number by an average of 545 deaths per year. That number was wrong, too. The Washington Post’s shooting data is the most frequently cited source because they are one of the few media sources with the resources and dedication to continue the ongoing research. The Guardian tried it for two years. Bowling Green’s Phillip Stinson had an expansive police crime database that eventually ended. There was a database called Killed By Police but it disappeared. After comparing all of the publicly available data, we determined… well… No one knows how many people police kill each year. The reason the number remains a mystery is that law enforcement agencies, politicians, lobbyists and the good ol’ NRA have gone to extraordinary measures to prevent government agencies from counting how many people die at the hands of law enforcement agencies. So we decided we’d count them ourselves. The Root partnered with D. Brian Burghart, the founder of Fatal Encounters—the site whose goal is to create an “impartial, comprehensive, and searchable national database of people killed during interactions with law enforcement” —to see how many people police killed last year. Like the Washington Post, Fatal Encounter’s data comes primarily from media reports. But unlike the Post, Fatal Encounters also counts citizens who were stabbed, tasered, beaten or otherwise died during a police encounter. Burghart, Fatal Encounters, and The Root meticulously combed through the data from the WaPo’s Fatal Force (available here). We found 12 mistakes (6 duplicate entries, 6 errors) in the Post’s data, bringing their total to 986 deaths for 2018. We also sifted through Fatal Encounters numbers (available here) and determined that they missed 2 gunshot-related deaths that the Washington Post caught. But we also discovered 109 people who were shot and killed by police officers that fit the Post’s criteria who were not listed on the Post’s site. When we added in the 436 other people who died by means other than gunshot, the number ballooned. The Post doesn’t list the 146 deaths that happened in federal custody or people killed by federal agents, so we counted them. Fatal Encounters also counts suicides during arrests or in police custody as a fatal encounter, but, for our purposes, we left those names out of our dataset. “If I’m only counting the gun deaths that fit their limited criteria, this means they’re only catching about 90 percent of police-related gunshot deaths,” Burghart explained. When you add these numbers, there were 1,575 non-suicide police-related deaths in 2018. On December 21, 2018, Donald Trump signed a sweeping new criminal justice reform bill into law. The First Step Act reduced draconian drug sentences, pivoted federal prisons toward rehabilitation and sought to decrease mass incarceration. One of the people who praised the passage of First Step was the Senate’s only black Republican, Sen. Tim Scott (R-SC). But Tim Scott was disappointed. Scott tried to pass the proposal as a standalone bill, to no avail. When he attempted to attach it to funding legislation, it failed. So, in a last-ditch attempt, as the First Step Act worked its way through the Senate, Scott attempted to slide his much-needed idea in as an amendment to the groundbreaking criminal reform bill. But police unions whispered in the ears of his fellow legislators and once again, the Walter Scott Notification Act fell by the wayside. As the world turns its eyes towards the NFL’s biggest showcase, no one will talk about Colin Kaepernick. But whether or not his name goes unmentioned, when Gladys Knight sings the Star Spangled Banner, tens of millions of people will remember his protest. When Maroon 5, Travis Scott and Big Boi take the field for the halftime show, the grandiose display of mediocrity will serve as a reminder of Kaepernick’s impact. The NFL whiteballed Colin Kaepernick for the same reason the government doesn’t count law enforcement-related killings. Whether it is a pile of dead black bodies, racism or one lone quarterback using his platform to take a stand, America believes that you can actually solve a problem by pretending it doesn’t exist. This is why people who talk about racism are called “race-baiters.” This is why people who talk about the injustice of police brutality are called “anti-cop.” This is why truth-tellers are always ostracized and vilified.